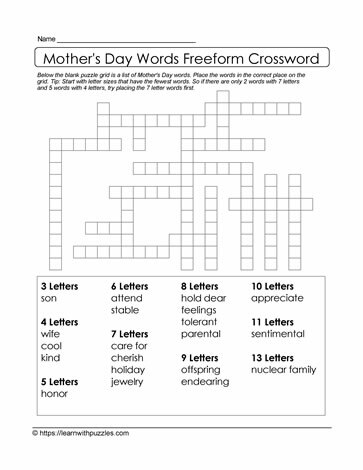 This Mom's Day freeform crossword puzzle consolidates vocabulary related to words connected to moms, mother's day, grandmothers, grandmas, nanas. Nouns, adjectives, verbs. Classrooms, homeschools, tutoring resources and parents-kids Mother's Day activities.